Edna Delema Hayes, 101, of Alpena passed away Tuesday, October 23, 2018, at Medilodge of Alpena. 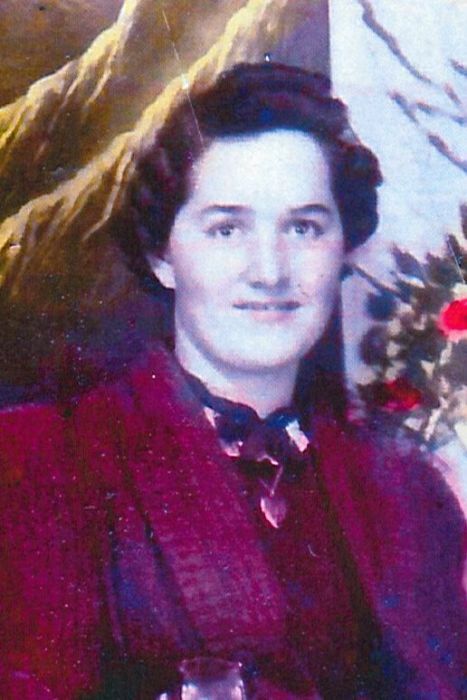 Edna Delema Gauthier was born July 9, 1917 in Rogers City to the late Eugene and Lydia (Bouchard) Gauthier. She married Alfred Hayes on June 21, 1941. He preceded her in death on December 13, 1963. Edna worked at McCory’s for 15 years, retiring in 1979. She was a member of St. Bernard Catholic Church. Surviving are her two sons, Charles (Karen) Hayes, Francis Hayes; three grandchildren, Lynnette (Larry) VanAmeyde, Bryan (Amanda) Hayes, Lori (Ray) Mason; five great grandchildren, Thomas VanAmeyde, Allison Hayes, Meagan Hayes, Caleb Mason, and Baele Mason. Mrs. Hayes was preceded in death by her siblings, Laurence Gauthier, Leonard Gauthier, Inez Matuzak, Doris Gauthier, and Trena Downie. Visitation will take place on Friday at the Bannan Funeral Home from 4-8 p.m. with a prayer service at 4 p.m. Visitation will continue Saturday at St. Bernard Church of All Saints Parish from 11 a.m. until Mass of Christian Burial at 12 p.m. with Rev. Joseph Muszkiewicz officiating.